Tree species composition and stand structural complexity are valuable indicators of sustainable forest management. 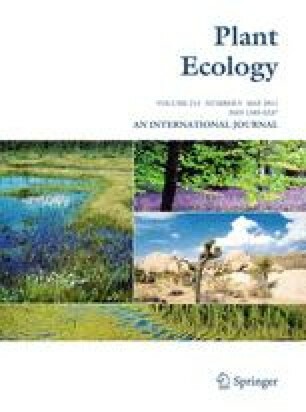 This article aims to investigate the relative influence of forest overstorey composition and structural attributes on understorey composition and diversity, taking into account also site characteristics and broad-scale environmental variables. We sampled vascular plant species composition and forest structure in 132 plots in the Cilento and Vallo di Diano National Park (southern Italy). Spearman’s non-parametric correlation coefficients were calculated between overstorey and understorey diversity indices, beech percentage, and altitude and environmental indices. A complete partitioning of the variation in understorey composition was then performed through canonical correspondence analysis considering four sets of variables: (1) overstorey composition, (2) structural attributes, (3) topography, and (4) landscape abiotic variables. Finally, we constructed a regression tree analysis of understorey species richness using the same explanatory variables. Understorey diversity indices were positively correlated with overstorey diversity indices and with environmental indices (i.e., light and soil heterogeneity). Overstorey and understorey diversity indices were negatively correlated with both altitude and the dominance of beech in the overstorey. Compositional variation was due primarily to overstorey composition and secondarily to structural attributes. Regression tree analysis revealed that altitude, overstorey species richness, and structural attributes play an important role in determining understorey species richness. According to our results, understorey composition and diversity are strongly related to overstorey composition and structural attributes. Indeed, the latter proved to be effective indicators of understorey characteristics in the study area. We are grateful to the Cilento and Vallo di Diano National Park for funding this research and to the State Forestry Corps for their assistance during the fieldwork. We wish to thank all the colleagues who took part in the field campaign, as well as Julia I. Burton and William S. Keeton and two anonymous reviewers for their useful comments on the manuscript.